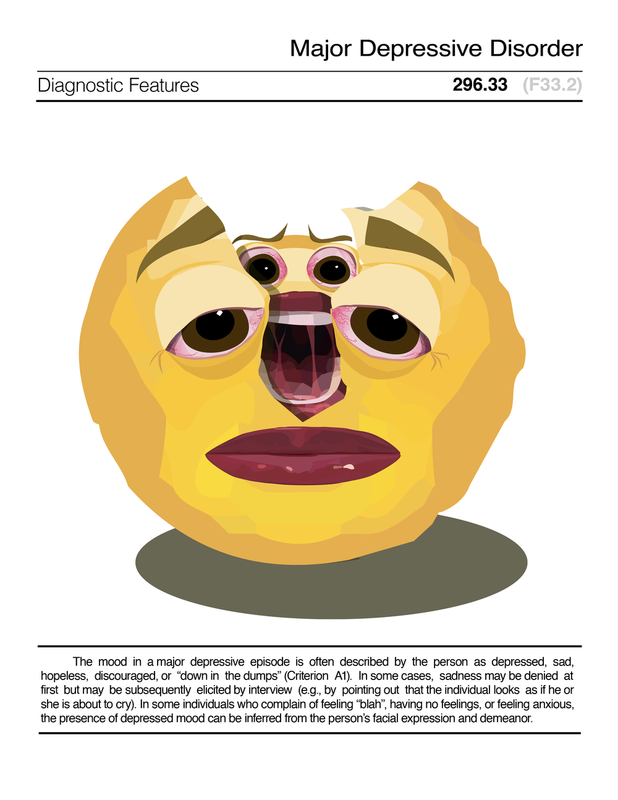 The DSM-E is an emoji version of The DSM, the American Psychiatric Association’s encyclopedia of mental illness. Throughout its history, the DSM has been criticized as superficial, subjective, and unnecessarily medicalizing natural behavior. 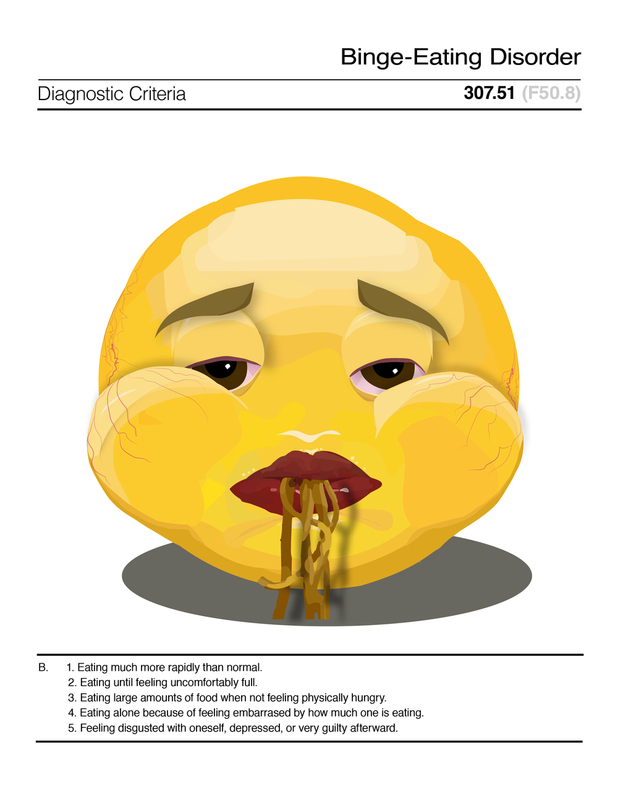 Yet, the DSM's fifth addition, which was published in May 2013, remains the near-universal authority on mental health. 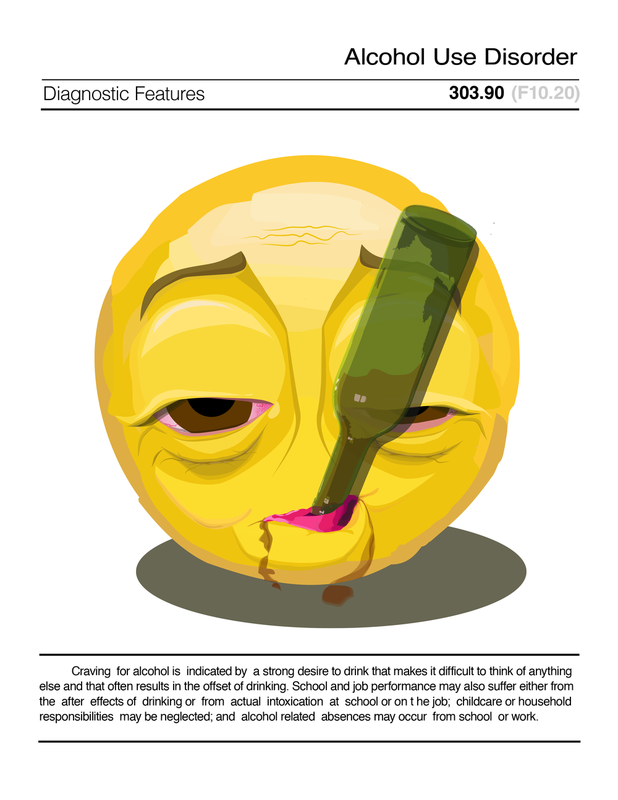 The DSM-E aims to replace the DSM-V's stigmatic labels with self-expression by creating emoji in collaboration with mental health professionals and patients who live with DSM diagnoses. Below are a selection of DMS-E prints. This project was done is a collaboration with Crys Moore and Oya Kosebay.